Canadian and French pianist Henri-Paul Sicsic devotes his passion for music through performance, always looking to serve the composers and to find their true voice, but also through teaching where he works painstakingly to communicate art music to the younger generations. 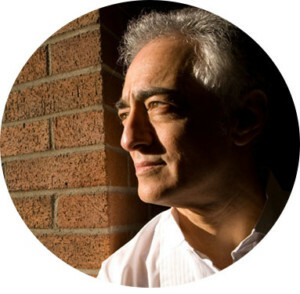 As a result of his pedagogical research, dedication and accomplishments, Sicsic became the first member of the music performance faculty at the University of British Columbia to be awarded the Killam Teaching Prize, one of Canada’s highest academic honours. Henri-Paul Sicsic was raised in a musical and cultural environment of teachers, composers and performing artists in the direct lineage of Chopin, Fauré, Poulenc and Ravel. While at the conservatoire de Nice, his teacher, Juliette Audibert-Lambert was a disciple of Alfred Cortot, one of the most prominent musicians of the 20th century. Cortot himself was a grand pupil of Frédéric Chopin. During her most formative years as a young pianist Juliette Audibert-Lambert was also under the tutelage of Gabriel Fauré. Fauré’s fondness for the music of Schumann added to Cortot’s influence who was one of the great proponents of the music of Chopin and Schumann of his time. And finally, John Perry brought to him what Sicsic considers the most invaluable insights into the music of Beethoven and music in general as well as his boundless pedagogical gifts. Henri-Paul Sicsic grew to become an inspired pedagogue with a tremendous following. His strong commitment to teaching and ability to enrich and inspire young talents is legendary, and his students have distinguished themselves at the national and international levels, earning prestigious Fulbright and Canada Council grants, winning top prizes and awards at major competitions, teaching at institutions of higher education and at summer music festivals. His teachers include Juliette Audibert-Lambert (herself a student of Gabriel Fauré and of Alfred Cortot), Pierre Sancan (Grand Prix de Rome of composition and Professor of Piano at the Paris Conservatoire), and renowned pianist and master teacher John Perry. A concerto soloist, recitalist and chamber musician, pianist Henri-Paul Sicsic has appeared with the Baltimore Symphony Orchestra, the Maryland Symphony Orchestra, the Pasadena Philharmonic, the Okanagan Symphony Orchestra, the Abbotsford Symphony Orchestra and the Orchestre Philharmonique de Nice, among others. His performances have been aired in New York City on WQXR radio, on the National French program “France Musique” in other major centers in the U.S. and on the C.B.C. in Canada. 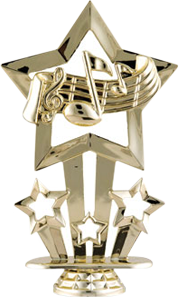 Competition and top prize at the Royaume de la Musique National Radio Competition in France. Sicsic taught at Rice University from 1986 to 1992 as the associate of eminent artist-teacher John Perry. He was a member of the piano faculty at the University of British Columbia in Vancouver for thirteen years (1994-2007). He was then appointed to the Faculty of Music at the University of Toronto where he taught until 2014. Henri-Paul Sicsic’s CD of Schumann’s Kreisleriana and Fantasy Op. 17 was highly praised. A more recent CD release of a live solo recital in Paris received high acclaim. The performance was a collaboration with celebrated French artist Robert Combas, whose large-scale paintings were inspired by the recital program featuring a work by Canadian composer Alexina Louie along with works by Chopin, Ravel and Albeniz. Engagements include performances and master classes in France (Paris, Nice) Spain (Burgos), Russia (St Petersburg), Finland (Helsinki), Israel (Tel Aviv University, Jerusalem Academy of Music and Dance), the U.S. (Houston, Seattle, New York) and Canada. Short term recording projects include the Piano Works of Maurice Ravel and an on-going project of Robert Schumann’s major Piano compositions. Now back in Vancouver, Henri-Paul Sicsic is happy to make again his contribution to teaching and performing in the province’s wonderful music community. Sicsic is a proponent of the Alexander Technique and also studies Tai Chi Chuan. He enjoys French cuisine, researching a healthy approach to nutrition and healing and is a marathon runner.